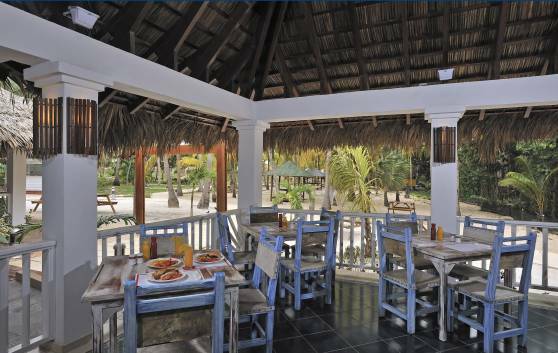 Located near the swimming pool and surrounded by lush tropical foliage, this rustic thatched- roof restaurant, imitating the “Caney” a structure originally built by the native Cuban population, offers a wide assortment of international dishes and meats served in a cozy ambience to the rhythm of a traditional Cuban trio. Its highly professional staff also caters to banquets and gala dinners. 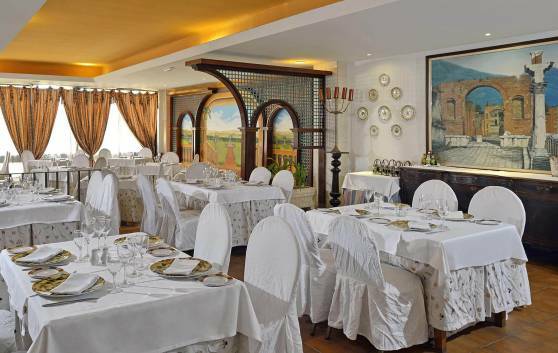 Lovers of seafood dishes can enjoy an exquisite à la carte dinner in our "El Marino" restaurant. 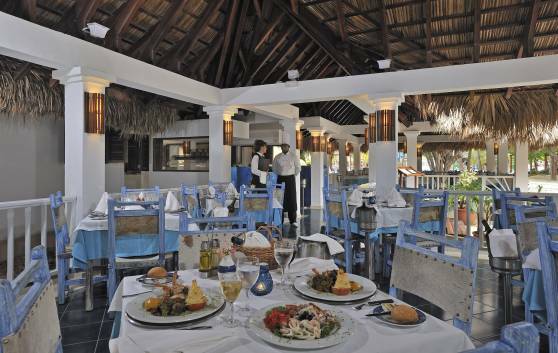 Fish and seafood specialities combined with local ingredients and produce lie at the heart of its cooking, in a quiet marine setting. 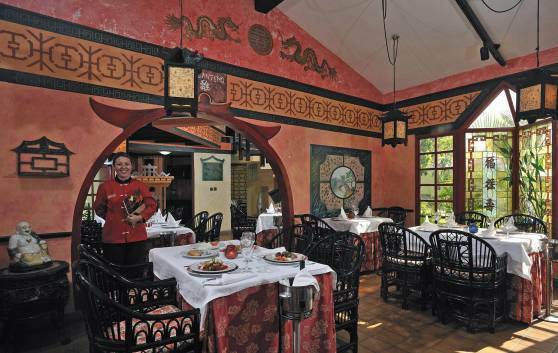 Located in a magical setting, this restaurant presents a novel buffet concept. It doors are open to the most discerning palates and its wide gastronomic offer will readily transport you to different parts of the world. 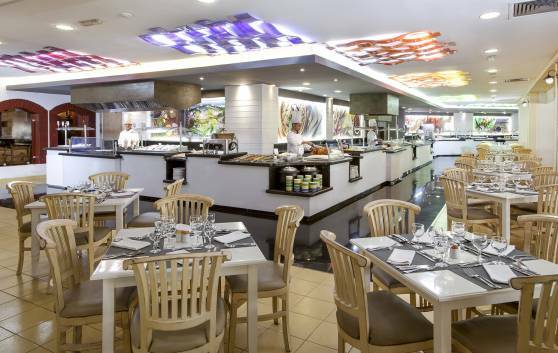 Like the song, the O Sole Mio restaurant is simply “unforgettable”, with its wonderfully quick service, elegant décor and cozy ambience. A virtual chant to authentic Italian cuisine! Opened during the evenings. Located in the hotel bungalow area, this artistically decorated restaurant specializes in Cantonese food and can accommodate up to 50 persons. 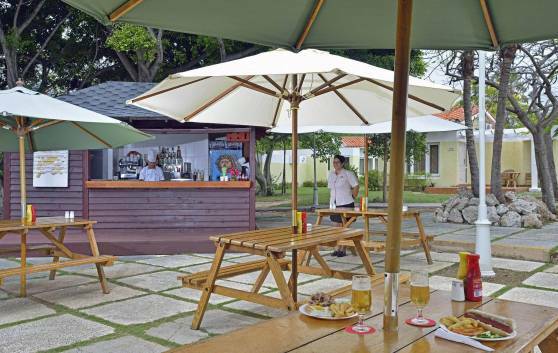 Its excellent quick service and wide variety of dishes have made it a favourite among guests. Enjoy an exquisite à la carte dinner, with a combination of incredible flavours, aromas and ingredients from Mexican cuisine. 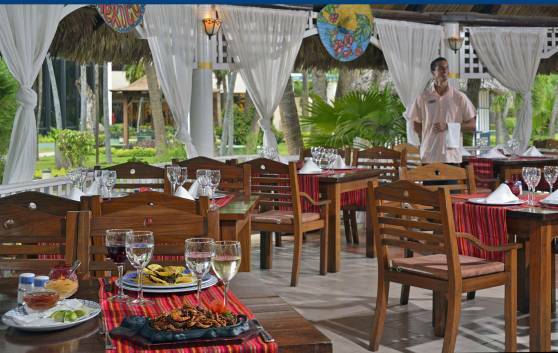 The fusion style of cooking combines the Aztec culinary heritage with the freshest local ingredients to give guests a special dining experience, accompanied by live music. 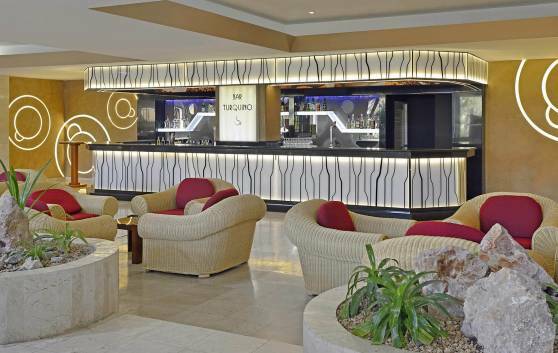 The Cubitas piano/lobby bar is located in the main floor of the hotel, -with air conditioning and a wide assortment of national and international drinks and beverages including delicious sandwiches. 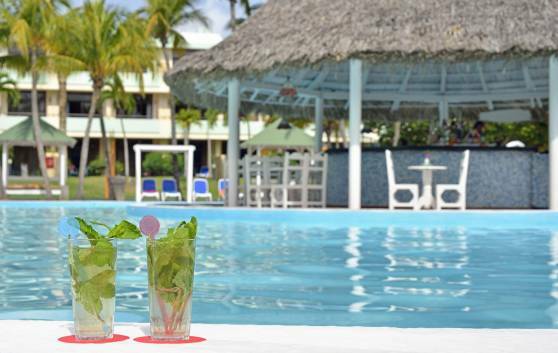 The El Mojito bar is located in the swimming pool area and offers a wide array of national and international liqueurs and beverages, especially tropical cocktails. 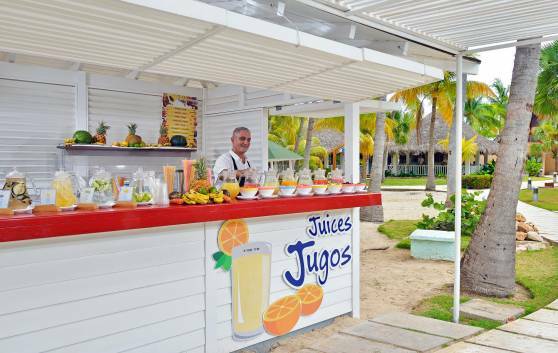 Fresh, exquisite tropical fruits are the key ingredient in our fresh juices. 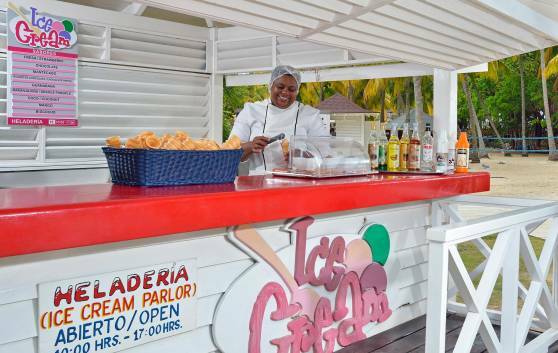 In the beach area you can choose this refreshing option to accompany your special moments by the sea, under the sun in Cuba. The Ron Coco snack bar is located in the swimming pool area. Specialized in hamburgers, hotdogs and sandwiches. 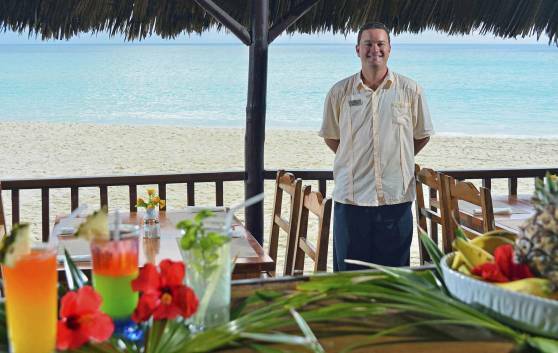 The Sol Cubano bar-restaurant is located right on the beach and has a seating capacity for 25 persons. 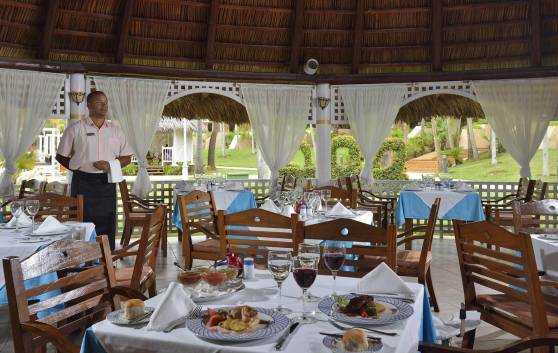 It serves typical Cuban dishes during lunch and also a wide assortment of national and international cocktails. Try our delicious range of ice creams and preserves. A special option for the little ones, ideal for a family treat. 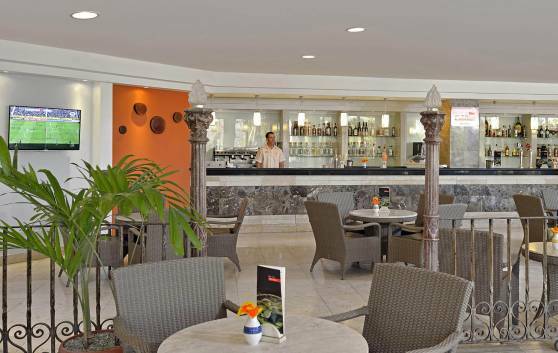 Located in the lobby on the second floor, the Turquino bar - cafe offers a wide array of drinks and cocktails for your enjoyment.